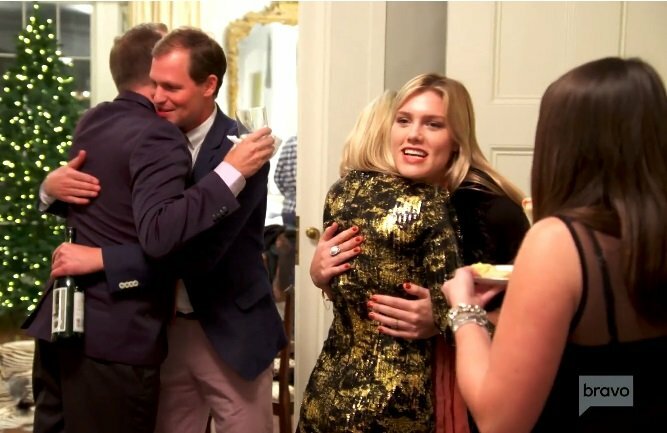 So last night was the season two premiere of Southern Charm Savannah, and I’ll let you decide if it should have been #RenewedByBravo. After its weak initial run, the show didn’t get nearly the traction as its franchise flagship. Now, on the heels of an explosive and exceedingly popular season of Southern Charm, will Savannah be able to keep up any momentum? Only time will tell. 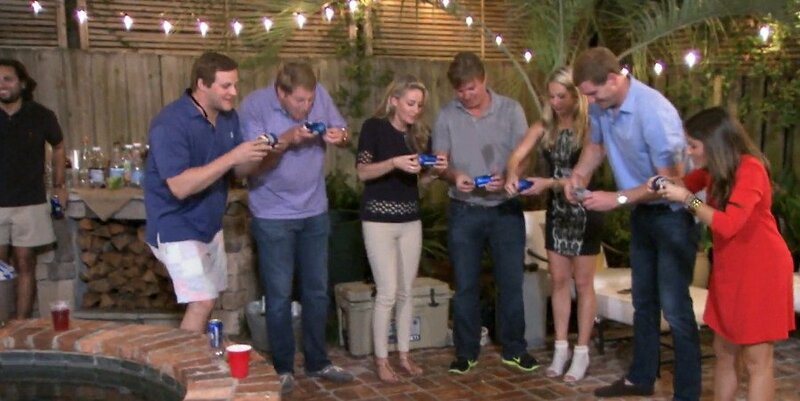 VIDEO: Southern Charm Savannah Returns July 16th! Watch The Teaser To See The New Drama! Y’all. Will Andy Cohen ever learn to leave well enough alone? Southern Charm is something that just can’t be duplicated like the Housewives franchise. Southern Charm New Orleans is entertaining, but it in no way measures up to the original. However, I thought we’d all learned that Southern Charm Savannah just didn’t work. It shouldn’t be a thing. But it is because it’s returning for a second season on Monday, July 16th. Is Bravo that desperate for a summer line up? It’s been so long since the first season aired, I’ve forgotten who these people are, and I got paid to watch it! I seem to recall a mouthy baggage handler for Delta and a thwarted proposal, but that could be any number of reality show plot lines that take up space in my brain. Thankfully we’ve been blessed with a teaser for the upcoming train wreck! It appears that relationships are rocky. Lyle Mackenzie is still seething from Catherine Cooper’s engagement denial, and Louis Oswald straight up calls girlfriend Hannah Pearson “asexual” in the trailer. Perhaps this go-round the group will be entertaining! The first season of Southern Charm Savannah came to a conclusion last night, and I’m a more than a bit perplexed. There was a charity ball with zero attendance, but clearly the guest list was minimal at best if ten folks on a boat caused the colossal no-show. Additionally, there was a botched proposal, and if it was sincere, it was pretty sad. Other than that, we’ve made it through this not well thought out spin-off, and for that, we all deserve a mint julep (or a hurricane on River Street! OR BOTH!!). Catherine Cooper heads to mentor Brandon’s house for champagne and cheese. It’s not going to take a lot of Brie for Brandon to chastise Catherine for not being committed to interior design. She admits to having a big fear of failure, and she has been coasting through life. Catherine is at a crossroads, and she doesn’t want to keep wasting her potential…whatever it is. Brandon jokes that maybe she just needs to settle into domestic bliss with Lyle McKenzie and their future brood, but that isn’t what Catherine has in mind. She tentatively believes she may be ready for the next step, but she looks like she may vomit as she says it. Southern Charm Savannah, oh how you’ve tried. We’ve almost wrapped the first season with this spin-off, and it wasn’t as well received as I would have anticipated. Don’t get me wrong, I like the crew as a whole, but there’s just not that much to watch. If Ashley Borders wasn’t creating stories in her head, playing the victim, and managing to strip at any given time, we’d just be watching a group of wealthy thirty-somethings with a penchant for partying. Been there, seen that. Last night’s episode begins with a trip to St. Simons Island. Jealous! Much to Hannah Pearson’s dismay, Louis Oswald is planning the ultimate tailgate at Hannah’s father’s house in St. Simons for the Florida/Georgia game. Being the most clueless boyfriend on the planet, he’s included Ashley on the guest list. Ashley is driving Nelson to the South’s biggest cocktail party while complaining that Hannah has a dress company and didn’t think to consult her about it. The nerve! Hannah feels awkward arriving at her family’s beach house. Since her dad married a woman close to her age, it doesn’t have the same memories as it does now. However, Louis has promised to be the host with the most alongside his potential future father-in-law. So he forgot the oysters–big deal. Louis wonders why this party has to be some reception-grade event on Hannah’s radar. What’s wrong with Natty Lite and some Fritos? When game time rolls around, there are still streamers to be hung and tables to be assembled. Both tasks fall on Hannah and her dad. As Hannah nags Louis about his duties, he is confused as to what is wrong. Napkins taken out of plastic wrap? He’s got it. Ice in coolers? Check. What’s so hard? As Hannah micro-manages Louis, her step-sister-mother and father joke about his demise. On last night’s episode of Southern Charm Savannah, the crew is cleaning up the wreckage from Hurricane Matthew. While they can’t decide what was more devastating–the storm or that dinner party–Happy McCullough and Catherine Cooper are driving around assessing the damage. Happy admits that she was sickened by Nelson Lewis’ defense of his racist comments at the pre-Matthew dinner party, and Catherine is understanding…while giving Nelson Lewis the benefit of the doubt for just being an idiot. Not even Hurricane Matthew could drown my sorrows as I watched last night’s Southern Charm Savannah. I’m really trying here, y’all! For the most part, I like the cast (save a couple). Lyle has some great one-liners, and Hannah Pearson and Happy McCullough seem nice enough. I think I’d like drinking wine with them, right? Then why can’t I get invested in this spin-off? Not even a crossover could help! Last night’s episode resumes with the cast gathered at that heated dinner party. As Daniel Eicholz continues to school Nelson Lewis on his racial slur, Nelson feigns shock and offense. How dare Daniel quote what he said in his own home? Daniel counters that if Nelson ever hears him say something offensive, he has Daniel’s full permission to call him out on it. Nelson wasn’t being genuinely racist, he just meant the term in an allegorical sense. Allegorical? Happy is in tears, and Azam comes to her defense as he tries to educate Nelson on how his words affect others. Louis is rolling his eyes at Nelson’s ignorance, as Happy recounts how it feels to be the victim of racism because of her relationship with Azam. Lyle McKenzie leads the charge to end the dinner party, as Nelson storms out ahead of the crowd. Is he a racist? HELL DAMN NO! Oh Southern Charm Savannah….y’all need a lesson in dinner parties and The Glass Menagerie from folks who know. Last night’s episode was a master disaster disguised as a dinner party from hell. Y’all need to step up your game! But let’s get started with the recap, shall we? In light of the recent fire (no pun intended), Ashley Borders and her friend Zia welcome a Gullah priestess to her home to bless the home and read the energy of the third floor. She prays in the room and releases the spirits to the other side. Before the Gullah priestess leaves, she reads Ashley’s palm and hints that big things are in her future. 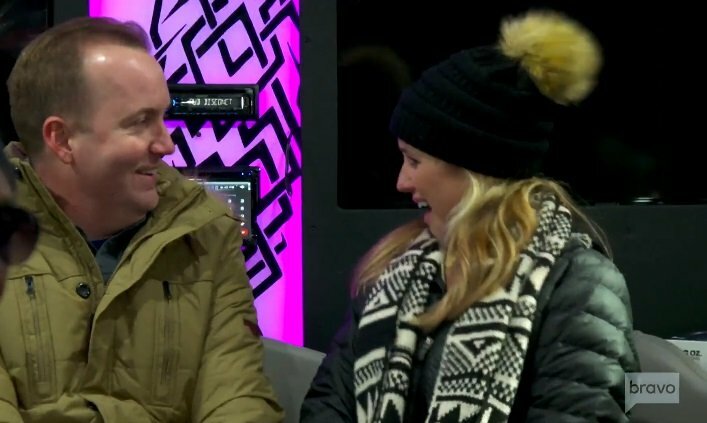 This news gives Ashley a glimmer of hope, and asks about the future of her marriage with Dennis, her high school sweetheart. Without missing a beat, the woman tells Ashley she hasn’t met her soulmate yet. I’m so glad that “soulmate” wasn’t a drinking game word last night, or the Southern Charm franchise would have killed me. Are y’all feeling Southern Charm Savannah yet? I’m still on the fence. The people I enjoy aren’t really entertaining enough to carry a reality show (which is why they are slightly relatable), and the ones with the drama are grating AF on my nerves. Is it just me? Last night’s episode only solidified that aspect of the Bravo spinoff, that’s for sure! If I ever meet Ashley Borders, remind me not to get in an argument with her. Sheesh! Poor Hannah Pearson attempts to express her opinion over her disdain for strip golf but ends up basically apologizing to Ashley for getting kicked out of youth group in eighth grade. Are you following? Me either. Ashley turns on the water works and blames Ashley for condemning her. Girls are always so mean to her–this is why she plays golf with boys!